Under Armour has teamed up with sound experts JBL to create its first-ever truly wireless headphones, UA True Wireless FLASH. Designed with running in mind, Under Armour has set out to solve two common running problems—tangled cords and water damage from sweaty training sessions. The result is earbuds that are fully-cord free so you can concentrate on your run and with UA Storm Proof waterproof technology. 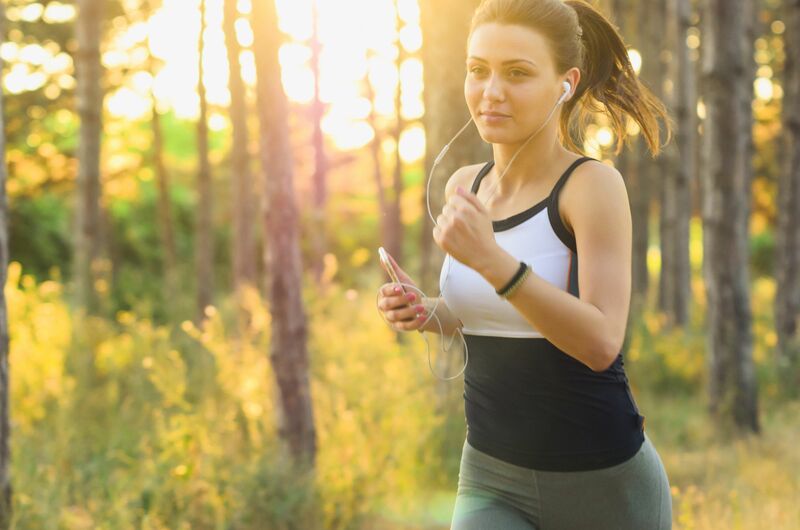 JBL has added in its JBL Charged Sound to give a clear high-quality sound, while the AmbientAware mode means runners can still listen to their music while turning up background noises so they can stay aware of their outdoor surroundings. Also suitable for running, although designed with swimmers in mind, AfterShokz is using CES 2019 to reveal its first-ever waterproof bone conduction MP3 headphones, the AfterShokz Xtrainerz. The new earbuds are able to withstand complete submersion in water and come with a secure fit so you don't lose them in the pool. Users can also store up to 1,000 songs on them, getting you through quite a few laps, with AfterShokz promising clear, high-quality sound even when under the water. Halo has used CES to announce a new, more affordable update of its original Halo Sport, the Halo Sport 2. The original version was based on Neuropriming -- sending a small electrical signal to a part of the brain that controls movement, so your brain is primed to get more out of each repetition during training. The Halo Sport 2 comes with updated Primers which Halo says will help improve neuromuscular connection so you can learn skills quickly and see results from your training faster. Using the headphones should also help those returning to training get back to peak performance quicker. Thanks to Bluetooth audio the headphones are completely wireless, with the brand also improving the sound quality. A new Halo Sport app is also available including tracking, reminders, and brain training tips.